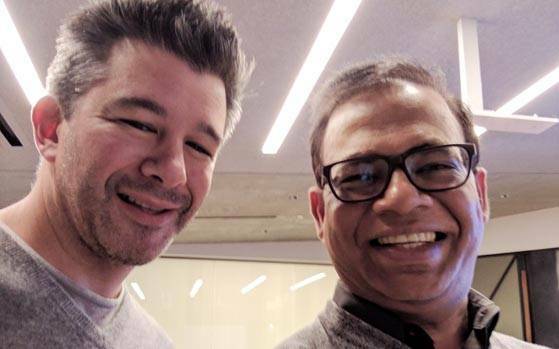 Amit Singhal, the former Google search guru who’d joined Uber earlier just a month ago, has been asked to leave the company. These developments arose after Recode discovered that Singhal had left his Google job after a sexual harassment claim was filed against him, which Singhal had not disclosed to his new employer. Singhal was subsequently asked to leave by Uber CEO Travis Kalanick this morning. The female employee who filed the formal complaint against Singhal did not work for him directly, but worked closely with the search team. The alleged encounter had been discussed with then Google HR head Laszlo Bock and Google CEO Sundar Pichai in late 2015. In February last year, Singhal had abruptly left Google while he was the Senior Vice President of Search. He’d said that he was retiring and wanted to focus on philanthropic activities. He’d even visited India, and had joined the board of Paytm. Last month, he’d joined Uber as the SVP of Engineering, saying that the role afforded him technical challenges that he was going to relish. Amit Singhal had had a dream career in tech, having joined Google in 2000 as employee no. 176. Born in Jhansi, he’d graduated from IIT Roorkee in 1989 and had then gone on to finish an MS in Computer Science from the University of Duluth in Minnesota. He completed his PhD from Cornell in 1996. Uber, though, is currently facing a PR crisis after a female employee wrote a viral blogpost detailing the systemic sexism and sexual harassment at the company. CEO Travis Kalanick had then said that he was going to get the matter investigated, and anyone who’d engaged in inappropriate behaviour would be fired.